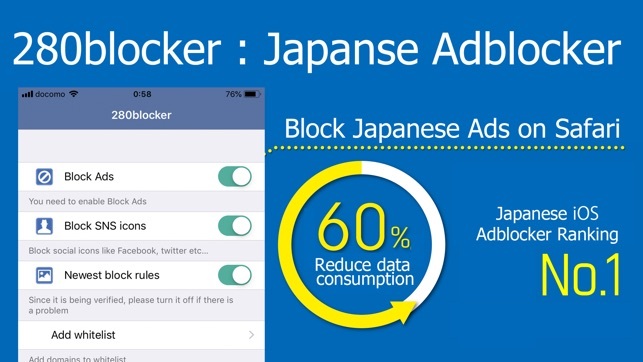 High-quality ad blocker for Japanese site. I really disliked vulgar manga advertisements and eyesore advertisements, and made my best by working on ad blockers with personal hobbies. Since it has nothing to do with the advertiser, please use with confidence. ▼ By domestic news site, verification using the domestic blog site, data reduction of about 60% was achieved. - The animation of the operation method was improved.